SAN FRANCISCO—The Judicial Council voted today to indefinitely delay four courthouse construction projects located in Sacramento, Nevada, Los Angeles, and Fresno counties, pending the outcome of the state budget for fiscal year 2013-2014. The council’s action halts all activity on these projects but makes an exception that would allow site acquisition to proceed for the Sacramento courthouse in the current fiscal year. Further progress will wait until courthouse construction funds become available in the future. Delaying these four projects is necessary because the Governor’s budget proposes that court construction funds—instead of money from the state’s General Fund—be used to finance the Governor George Deukmejian Courthouse in Long Beach. Authorized by the Legislature in 2007, the new Long Beach courthouse is being delivered under a performance-based infrastructure delivery method. The long-anticipated courthouse is scheduled to open in fall 2013, when the first annual payment will come due for the project. In addition to using court construction money to help make payments on the Long Beach courthouse, the Governor’s budget proposes using another $200 million of court construction funds in the coming fiscal year to shore up court operations, and postpones repayment of another $90 million borrowed from construction funds two years ago. Because of budget uncertainties, the council also voted to delay until its meeting in February consideration of related facilities measures—on funding for facility modifications and maintenance costs for new courthouses. Council Authorizes Remote Video Proceedings in Traffic Infraction Cases: The council approved a pilot project—which will run from February 1, 2013, to December 31, 2015—authorizing trial courts to request council approval to conduct remote video proceedings in cases involving traffic infraction violations. In trial courts that institute remote video proceedings under the pilot project, defendants in eligible cases will have the option of appearing remotely at a location designated by the court. The program will help courts provide more access to court proceedings at a time when budget cuts are forcing them to reduce hours and close courthouses. The idea for the pilot project originated from the Superior Court of Fresno County, which recently had to close several of its court facilities because of budget reductions. 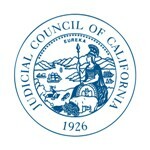 Council Delays Advocating for New Judgeships: Each year, the Judicial Council sponsors legislation to further key council objectives and set its legislative priorities for the upcoming legislative year. At the December 14, 2012, Judicial Council meeting, the council reviewed the Policy Coordination and Liaison Committee (PCLC) recommendations for the 2013 legislative session and approved all but one recommendation. The council directed PCLC to reconsider its recommendation that the council sponsor legislation to create 50 new judgeships in light of the fact that the previous set of 50 judgeships has not been funded. In light of this direction and after much discussion among its members, PCLC revised its recommendation, instead advising the council to defer action on new judgeships until next fiscal year. While the creation and funding of critically needed judgeships remains a branch priority, in the current economic environment, the council voted to defer action on judgeships at this time and focus on its other budget-related legislative priorities.